Huge Price Reduction! 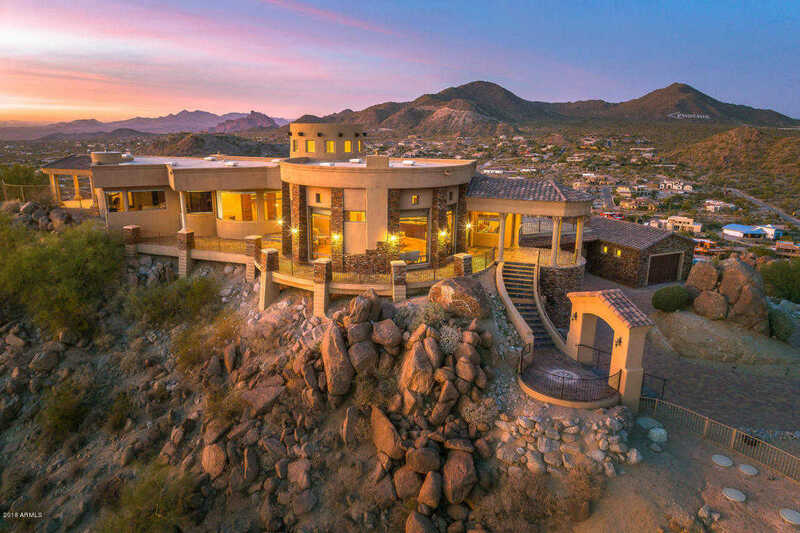 Unparalleled views of the valley from this mountain top house! Come see the elegance of this custom one-of-a-kind home. The Tuscan inspired interior accentuates the views from nearly every room in the house. Each bedroom has ensuite bathrooms and sweeping city or mountain views. Perfect for entertaining with multiple patios to take advantage of the great Phoenix weather, and gas fireplaces to keep warm in the colder winter nights. Too many features to list here. These photos can’t do it justice – must see in person. Approximate size: 223911.00 sq. ft. Please, send me more information on this property: MLS# 5724238 – $1,997,000 – 2789 N 90th Street, Mesa, AZ 85207. I would like to schedule a showing appointment for this property: MLS# 5724238 – $1,997,000 – 2789 N 90th Street, Mesa, AZ 85207.